Our flower shop gift vouchers make a great gift for someone who loves flowers. 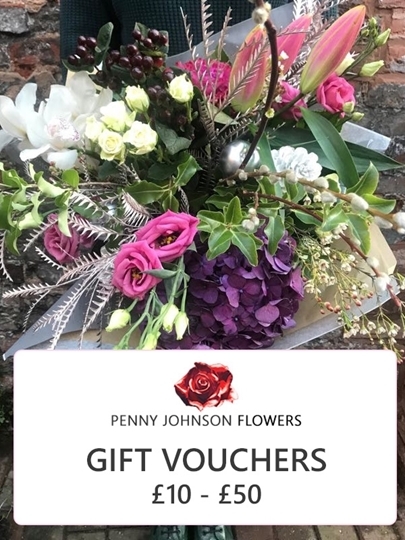 Let the lucky recipient shop online and choose their perfect bouquet, or perhaps one of our workshops, with a Penny Johnson Gift Voucher. You can always add you own details below and then print out the code to give to the recipient in person!